Last summer, I was invited by another expat blogger to join her for a walking tour around her adopted home village of Colmenar. Set in the heart of the Montes de Mâlaga, a range of mountains close to Málaga city, Colmenar gets it’s name from the Spanish word for the bee hives (las colmenas de abejas) that were the basis of the local economy for a long time. Indeed, Colmenar boasts a museum dedicated entirely to honey (Casa Museo de la Miel), although for some strange reason the museum was closed when we visited. 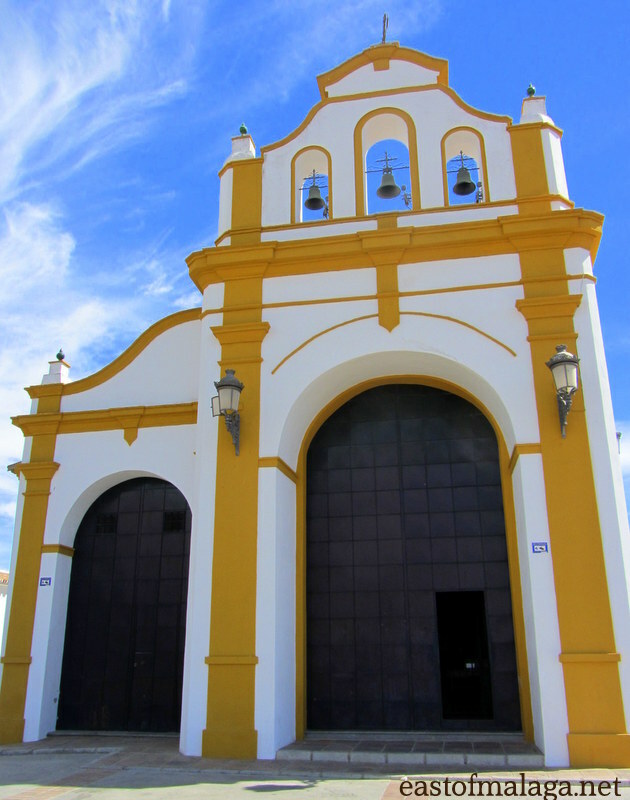 At the highest point of the village stands the Chapel of Our Lady of Candelaria. The Virgin of Candelaria is the patron saint of Colmenar, as well as the Spanish-owned Canary Islands, and the chapel was built in gratitude for the lives of Canarian sailors spared during a fierce storm off the Málaga coast, during the 17th century. 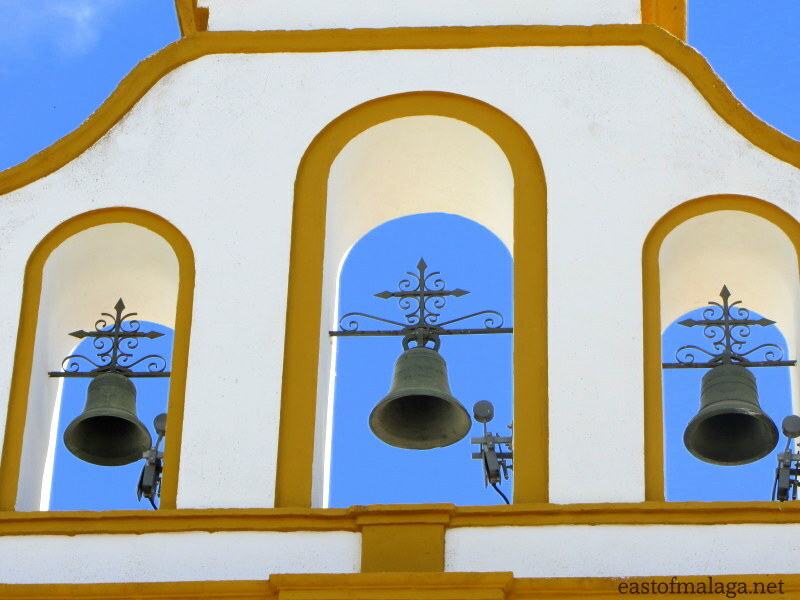 This entry was tagged Andalucía, Colmenar, East of Malaga, Europe, life, Malaga, photography, Religion, Spain, travel, Weekly Photo challenge, white villages. Bookmark the permalink. Great pictures. Tried to post a couple of times now so trying with twitter. Had a great time in Malaga last week with my bro-in-law, he’s got a place overlooking Banos de Carmen, love it down there, much more fun than Seville, especially in summer. Love your blog. Thanks Barry. Must be sweltering in Seville at the moment….phew! Great Pictures Marianne. I was down in Malaga last week with my bro-in-law. Had a great time chilling on his terrace looking out to sea by the Banos de Carmen. Much better than the sauna of Seville. Sorry Baz – just rescued your messages from the Spam file! I had 136 in there, with only two of them that weren’t spam! Sheesh! I love the bright warm colors of the cathedral! Lovely! Stunner of a second shot. Pingback: B4 Retouch / Weekly Photo Challenge: 1 Shot 2 Ways (Paris) | What's (in) the picture? So many pretty places in Spain – as you well know, Cathy! The colors are so vibrant! I live about 20 mins from Colmenar and often go to the post office (opposite the museum) but have never seen it open either! OOHH dear – it gets worse! Love the vibrant yellows. Great job with this week’s challenge. Is it really? That’s ridiculous! I guess their excuse is that the people from the Honey museum need a break, too. Who knows? Of course the museum was closed: No flag on top, so the Queen was OUT. Duh! Have a great weekend, Madhu! Almost like a painting – just beautiful. That is so gorgeous, the yellow and white against the blue sky! Love these bells! It’s only very recently been posted, Jo – so no wonder you’re working backwards. Pingback: Weekly Photo Challenge: 1 Shot 2 Ways (Domfront) | What's (in) the picture?